J. J. Redick has never been the lede for this world famous site. In fact, I don’t recall ever writing a blurb for him. I’m sure I have, but now that I think about it, I’m not so sure anymore. Whether I have or not is irrelevant, though, because he’s been Mehdick for most of the season. That’s not to say he hasn’t been good. He’s been useful for what you drafted him for; treys with a handful of boards and dimes, good for around top 90 value. 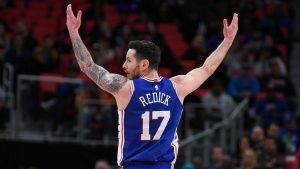 Last night, all the parallel universes must have intersected because Redick was ridic and produced a stat line that was, frankly, out of this world. Aaaaaaaaaaaaaaaaaaaaalmost messed around. The 10 boards were a career high! The 8 dimes were a season high. He’s never posted a trip-dub and last night was the first dub-dub of his career! See, some funky stuff was going on in the universe last night. Anyways, it was a ceiling game for Redick, one that we will likely never see again. Enjoy the Redickulousness for a day, then go prepare for the return of Mehdick. Mike Conley has really had some tough luck with injuries and never playing for an elite team. 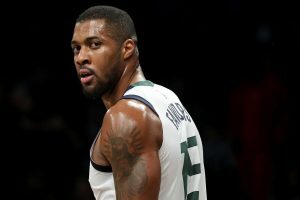 Now that Memphis appears to be in the midst of a confusing rebuild, it creates even more of a question mark surrounding Conley and his role on the team. You start to feel bad for him, but then you remember the sweet contract he signed. Still, it has to be rough to be at his level and rarely be in conversations about current great NBA players. He shows up, plays with this roster, and puts up his stats, which have him inside the top 30 for the season. This marks back-to-back excellent games for Conely. The double-digit assists are really nice, as are the 3 3’s. It’s tough to say how things will go down for Conley the rest of the season, but for now, he’s humming along nicely and fantasy GMs should be excited about the production. If you grew up in the 90s, there’s no doubt you heard “Steal My Sunshine” by Len. The radio stations only played it five times every hour for months on end. Remember, this was before iPods, iPhones, Spotify, and XM Radio. It was also a time when MTV and VH1 would actually….you know…play music videos, so the inundation was widespread and impossible to eradicate. The song had a nice summer vibe to it and made one feel happy, but if you dig into the lyrics, it’s about depression…at least in the beginning, but the song is ultimately about overcoming depression and being happy. Well, Alex Len has been a source of depression for fantasy owners for a long, long time. We’ve always been tantalized by the potential but he could never put it together on a consistent basis. Last night, though, it all came together…. …at least for one night, a career-high night in points no less. 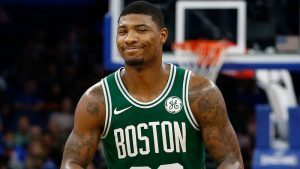 Now, don’t get gassed because he received his first start since late December, as John Collins and Omari Spellman both did not play due to injury. He did play 36 minutes in the prior game and put up 24/10, but that game went to triple overtime. In addition, both games were against the Bulls. Put your head down in shame Bulls. Anyways, when the Hawks get healthy, Len will return to coming off the bench and receiving fewer than 20 minutes of run, but keep in mind that when injuries strike, Len does have some upside. He has eight dub-dubs on the season. There are times when it’s okay to love your cousin. If he/she is hot….and you are the only people on an island in the middle of nowhere. If you live down South. Ha! I kid. Seriously though, many places allow love and marriage to a cousin. Even in the US of A, 19 states allow marriage to first cousins and 41 allow them to live together. In Amish society, their group is relatively small in number and marriage outside of their religion is forbidden. Simple suppy, demand, and survival equation there. Don’t sweat it fellow fantasy basketballer, though. You can love DeMarcus Cousins without shame or remorse. Played 31 minutes, the first time eclipsing the 30 minute mark all season. Steve Kerr did mention recently that he will ramp up the minutes for Cousins. Well, it’s good to know that Kerr is not a liar. Over the past four games, Cousins has been a top 30 player, averaging 16.5 points, 1 tres, 11.3 boards, 3.3 dimes, 1.5 steals, and 2 blocks. The 41% from the field isn’t good (43% on the season), but he’s shooting 88% from the line (78% on the season). Man, I was wrong about Cousins, as I didn’t think he’d be able to come back from that Achilles injury. Much love Cousins. Much love.